Hotels, restaurants and nightclubs are often risky investments. The value depends on many factors: seasonal variations, optimization of location, shifts in clientele, and the general state of the economy. When properties start to lose value, creditors often look for ways to preserve and enhance the value of what they see as their investment assets. 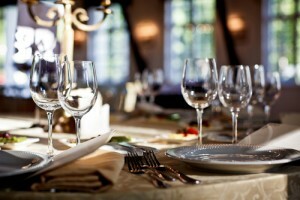 A federal court appointed receiver can work to do both of these for the hospitality industry. One of the first ways a receiver can help is simply to maintain operations. A hotel or restaurant that closes can no longer recover revenue to generate profits. If a property isn’t making enough money to keep functioning, a federal court appointed receiver can step in to take over management. That person applies his or her expertise and experience to the specific problems the business is experiencing and has an opportunity to right the ship. Typically, the receiver takes time to look at the financial picture and the operational structure. This analysis helps create the outline of a plan to both keep the property functioning in the short term and improve the bottom line for the long term. An open property can generate profits through either a sale or through improved business. A closed property, in contrast, can only recoup investment dollars through a sale. And without current business, that sale will usually come at a lower price point than a fully functioning property could generate. If a receiver can get customers to spend money at the business, it usually serves everyone better. After the initial analysis, the receiver can begin identifying ways to improve the finances for the business. Many hospitality industry businesses become less lean over time. Ideas to improve the property may not always find balance with the need to generate profit with revenue dollars. This often results in bloated budgets that revenue streams do not justify. To correct course in this situation, it sometimes falls on a federal court appointed receiver to trim the fat from the budget. Costs need not be bad, and some find complete justification in the market and in the overall economic picture for the company. The analysis should include timelines, expectations, and results achieved. If expenditures do not improve the bottom line — either directly or indirectly — the receiver may determine that funds can be freed up for more impactful purposes. The budget for any business necessarily includes both expenses and revenues. A federal court appointed receiver, to keep the business functioning smoothly, can both maintain spending and authorize new spending in appropriate areas. For the property to increase in overall value, every dollar spent should generally hold some revenue-creating purpose. This can include targeted renovations, marketing spend, improved supplies, more qualified staff, or a host of other spending areas. For an effective receiver, the point is usually to maximize the value of the property — both for the present and the future. The ultimate goal of the work a receiver performs can vary. Sometimes selling a property ultimately represents the right result for both ownership and creditors. Other times, building the business back up might prove so effective that continued operation by the same ownership group satisfies everyone involved. In either case, though, transitioning management of the property to a federal court appointed receiver may prove effective in helping reach the goal.